The Philadelphia Eagles have announced that rookie QB Carson Wentz will be the starting quarterback Week 1 vs. the Cleveland Browns. The Number 2 overall pick in the 2016 NFL Draft, missed the final three preseason games after injuring his ribs in the opener. The Eagles traded up to secure the number two slot and pick Wentz at the Draft. After trading presumed starter Sam Bradford to Minnesota over the weekend questions quickly turned to who would take his spot, the rookie or backup Chase Daniel. Head Coach Doug Pederson said today, "Everybody feels like this kid is ready to go... We drafted him to take on the reins. It's something now that we're prepared to do. He's such a special guy. This stage is not too big for him." 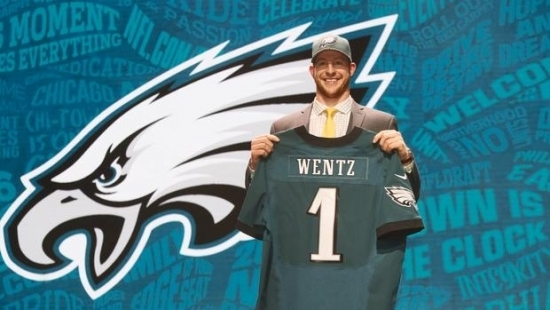 Wentz said, "I'm very confident and I'm very excited to get this opportunity." Daniel has signed a three-year, $21 million contract to be the backup. He'll be backing up Wentz now instead of Bradford. A 19-year-old Oregon man is missing following this weekend's Made in America festival. Nelson Armstrong was last seen at around 11:30 pm Sunday night when he got separated from his friends. He is from Medford, Oregon, and is not familiar with the area. 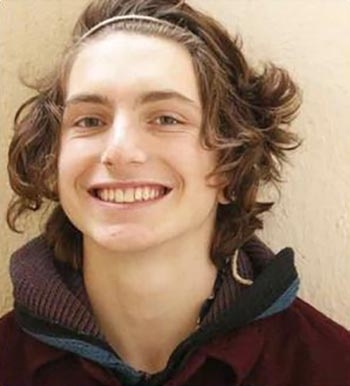 Armstrong is described as 5'10 tall, 165 pounds, with a thin build, brown eyes and brownish curly hair. He was last seen wearing a tan bucket hat with "Hershey's" written on it, a black button down shirt, nylon dry shorts, navy Van sneakers, and a leather chain necklace that has a stone attached. Anyone with information on his whereabouts is asked to contact Central Detective Division at 215-686-3093, or call 911. See his picture below. One man is dead after a fire Monday morning at a Bensalem trailer park. It happened around 6:30 a.m. Monday on the 3500 block of Aster Avenue at the Penn Valley Trailer Park. A trailer was consumed in heavy flames when firefighters arrived. Once estinguished, the body of a 56-year-old man was found inside. Investigators say the fire appears to be the result of careless smoking. The victim's name was not released. The investigation is on-going.